Here in Artlords, we have a type. Art that makes us go into another world. Action Packed Artworks is a series about that one moment in said ‘worlds’ were the chips are down. Guns start to wind up, heroes leap into battle, giant robots fire all the missiles, and so on and so forth. It’s about action, baby. No more talk! Have at you. 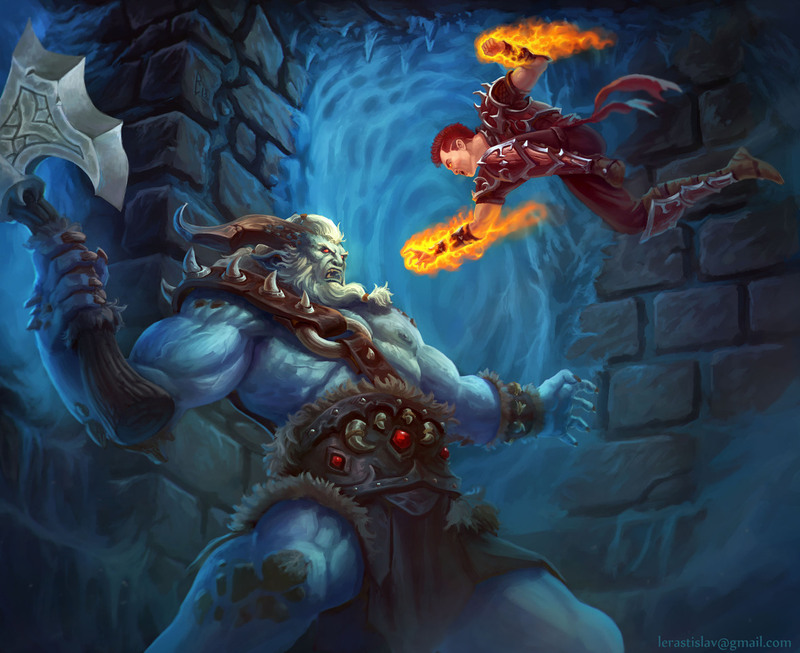 The Troll Duology by Rastislav Le are pieces we love. The first one is about this huge, massive monster being surprised by this mad monk-like character ready to punch their nose with their fists as those burst into flames. While the other is about the fact that Troll is holding a full tree. When your foe is lugging an actual tree around, you know it’s over. The Skeleton wars are here! These spooky warriors were created by Ivan Sevic for the game Primal Heroes. Zombie horde wrecking cars, reaching for brains. The heroine in the piece has the right idea on how to deal with them. From the Warhammer universe, the Skiitari from Mars cleans up their planet from Xenos filth. The sisters strike a pose before the fight of their lives! We love this type of artwork so much, we actually featured many artists dedicated to it over the past year. Just click on their image to check out the full action packed gallery.